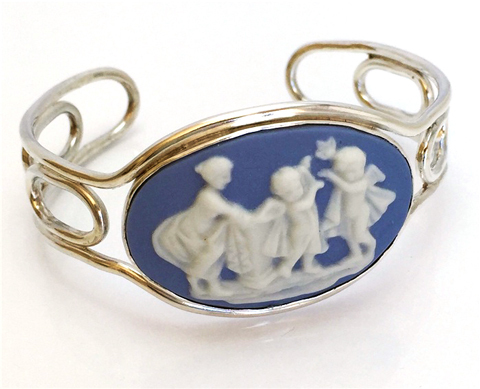 Superb Silver is a family enterprise; I am Xanthe, based in Perth, and Mum and Dad are in Brisbane. Sharyn and I take care of the silversmithing and stone setting, while Clyde is a keen fossicker and facetor of stones found mostly in central Queensland. 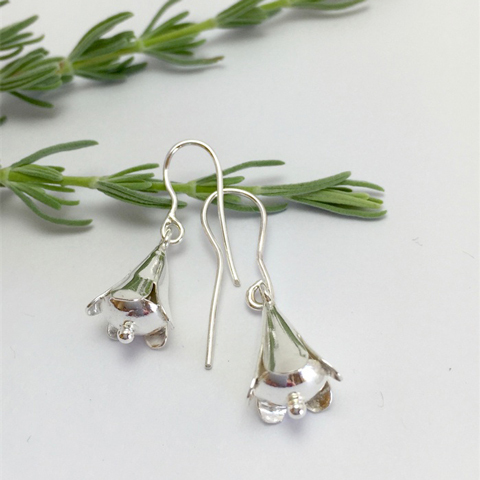 Silverwork is one of those amazing hobbies in which you can create incredible things with relatively simple tools. However, the more you create, the more tools you collect along the way. Both our workshops are situated at home, with Sharyn and Clyde sharing a room. Occasionally, they use their tropical studio (the backyard) for casting. 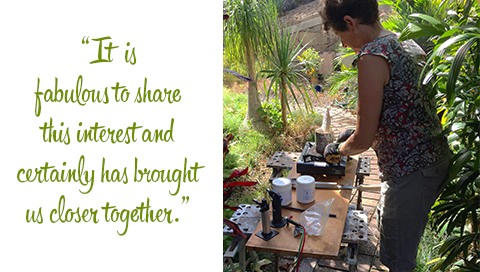 Xanthe in her WA workspace, Sharyn working on a cuttlefish casting in her tropical studio, and Clyde polishing stones. The lateral thinking that goes into creating a finished piece is always satisfying. Quite often the stone dictates the setting. 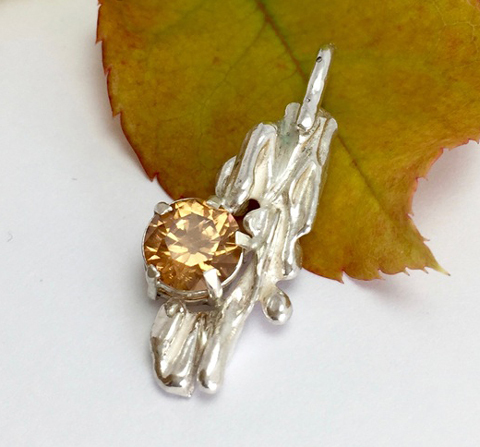 A cabochon star sapphire shines in a very different way to a faceted citrine or zircon. 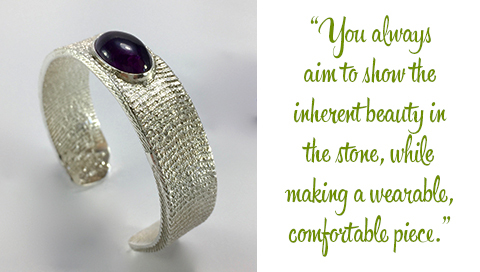 You always aim to show the inherent beauty of the stone, while making a wearable, comfortable piece. I think nature itself provides us with a lot of inspiration. Our art deco designs are inspired by the angles and symmetry of faceted stones. While our cuttlefish castings using cabochon stones have a softer more organic feel. 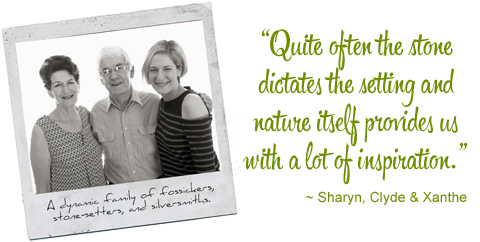 Sharyn and Clyde have been keen fossickers for most of their lives. Some of my earliest memories are traipsing through the bush beside Dad, looking for stones. It seemed a natural progression to start cutting and setting the stones they found. Sharyn has been a member of a Brisbane lapidary club for many years and both are involved in the rock-hunting community. Their passion was contagious, and soon I was hooked too. Classes at TAFE and the Fremantle Arts Center followed. It is fabulous to share this interest and it has certainly brought us closer together. We are very aware that we deal in a non-renewable resource. There are only so many beautiful stones to be found. So we certainly feel a responsibility to use them with care and intention. The sapphires we use from central Queensland are particularly precious as there are only a few places in the world that sapphires can be found in such a rainbow of colours. Most people don’t realise the gorgeous greens, blues, and even yellows, sapphires can come in. 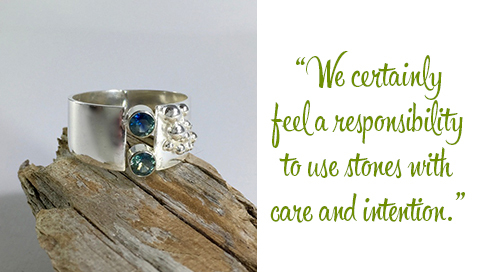 It is very important to us that our stones are ethically sourced. We know the trip each stone makes from being picked from the earth through to a wearable piece. Made It has been a great support to our new business. It is always a thrill when one of our designs pops up as Editors pick or in a shopping guide. I am amazed how other sellers have been very helpful. It was important to us to have a platform that was mainly Australian. I am always inspired to see what other amazing things people are out there creating. It certainly feels like a handmade revolution is underway!